Same Day Implant Teeth is a dental procedure by which missing teeth can be replaced in just one day. Dental implantology has greatly advanced in the past 20 years and technologies such as 3D scanning, guided implant surgery, and CAD-CAM systems are being employed for faster, less invasive, more predictable, and more effective dental implant treatments. Who is a candidate for Same Day Implant Teeth? Do I need to see a specialist for Same Day Implant Teeth treatment? There is no such thing as dental implant or Same Day Implant Teeth specialist. 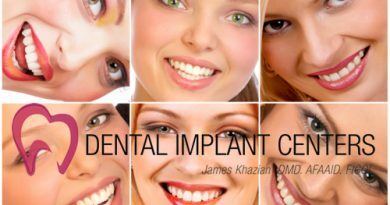 Same Day Implant Teethtreatment and other dental implant procedures are done by dentists who have extensive training and experience in the field of dental implantology. Same Day Implant Teeth treatment is offered in some dental clinics who have a team of 2 dentists. One dentistperforms the surgical phase while the restorative phase (making the actual teeth) is done by the other dentist. It may also be done by 2 different dentists in 2 separate dental offices. It is more logical to have this treatment done by just one dentist who is an expert in both surgical and restorative phases. This will prevent possible communication gaps between the 2 dentist and ensures a smoother treatment process. Patients who have done their treatment by one dentist instead of 2 usually express better satisfaction. Can people with periodontal (gum) disease have Same Day Implant Teeth treatment? Early phases of periodontal disease may be treated successfully by surgical or non-surgical approaches and there is no need to remove your teeth. If the disease is advanced and the prognosis for saving your teeth is poor, considering dental implants may be the most intelligent approach. Cases of advanced periodontal disease are always associated with infection of jaw bone and gum, which contraindicate dental implant treatment. These patients should first be treated by extracting all teeth, debridement of jaw bone, and antibiotic therapy to eliminate all infection. The implant dentist may also recommend bone and gum grafting to repair jaw deterioration and bone loss. These procedures may take about 4-8 month to complete and, only after completion of such treatment may the Same Day Implant Teethprocedure be done. Is Same Day Implant Teeth treatment really done in just one day? Same Day Implant Teeth treatment is a very complex dental procedure and require extensive preparation. Candidates for this treatment undergo preliminary evaluation and prep work which include necessary x-rays, a thorough examination by the implantologist, review of patients medical condition, making of study models, evaluation and analysis of patients’ jaws relation (occlusion), and TMJ evaluation. The implantologist plans the treatment, to create esthetically pleasing and functionally strong teeth. He/she will then use all collected data to plan the surgical procedure and placement of teeth to be done in one day. It should be noted again that such treatment is only possible for patients who have favorable jaw bone and gum condition. For those patients with inadequate bone structure, grafting procedures should first be done to reconstruct the jaw bone. Over all, the Same Day Implant Teeth treatment is a life changing experience for people with missing teeth and those who replace their old dentures with good looking, strong implant teeth. I hear over and over from my patients how their new implant teeth have positively impacted their psychological and physical health. The following pictures show a case of upper jaw reconstruction with dental implants and beautifully restored smile.